Join a network of strong, wholehearted, outside-the-box professional and activist women who are passionate about a just and sustainable world. ​ ​★ Hear & ﻿﻿share tales of ﻿﻿courage ★ Connect with your passion ★ Be the change you want to see. with a community of ​inspiring women making a difference​. 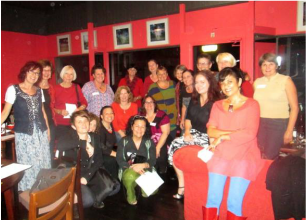 Women Howling is a community of inspiring, down to earth women from diverse walks of life and age groups who enjoy connecting authentically with other women to share deep diving conversation on things that matter and have a fabulous time. And we share a passion for contributing to a life and a world that works for everyone and the planet. We meet monthly, on the night of the full moon (or close to) to dine together. We share stories of challenges and courage, we laugh lots, we focus on a particular topic that would make a difference in our lives - and oh yes, we howl (optional)! We leave the evenings uplifted, inspired by ourselves and others, with new friends and with renewed hope and energy for our lives and the world. You can attend occasionally or every month as you wish. 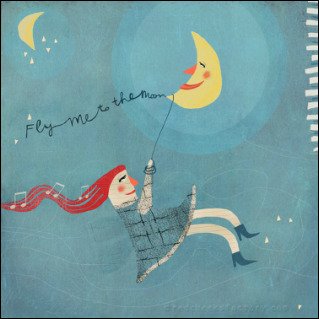 Women Howling at the Moon was founded and is facilitated by courage catalyst Chris Henderson. The events are not-for-profit, with all profits donated to support the work of a remote Aboriginal women's centre in central Australia. ★ support a remote Aboriginal women's centre. Registration covers venue hire, the evening's networking and activity, starters, canapes, tea/coffee and a glass of wine. You may byo alcohol, or purchase by the glass. RSVP to Chris at chris@chrishendersoncoaching.com with any dietary needs. ​rooftop, Common Ground, 15 Hope St, South Brisbane. 6.00 pm - 10.00 pm, Tuesday 13 December. Gambaro Room, 13th floor, Common Ground, 15 Hope Street, Sth Brisbane. I love how much it supports and nourishes each one of us and sends us out strong for another month! - Lani Morris, NZ-based global trainer for The Map of Meaning. The venue may vary over the year, so do check the automatically updated calendar, or the website or newsletter for details. Or contact Chris directly. Monthly events are generally held from 5.50 pm for 6 pm until 9.30 pm.